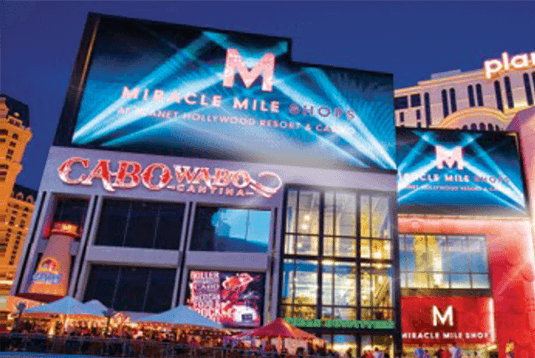 Located in the Miracle Mile Shops of Planet Hollywood on Las Vegas Blvd and Paris. - Advertisements cannot include the name of any other hotel and casino. 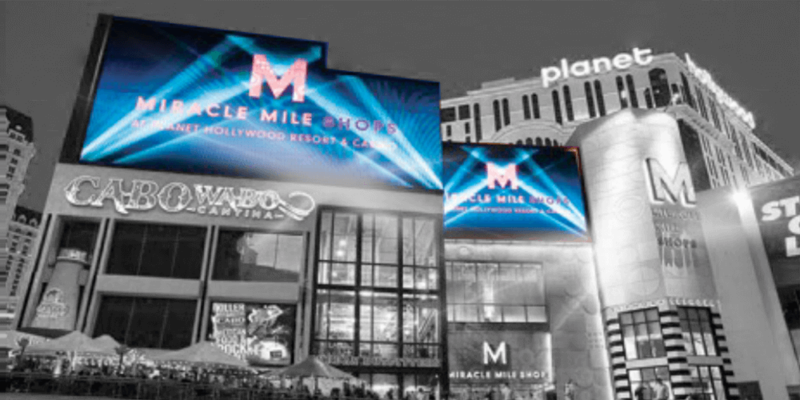 - Miracle Mile Shops merchants are excluded from advertising as well (must book directly with Miracle Mile). - Personal messages (birthday, anniversary, etc.) are not allowed.